Even before Nkrumah formally declared Ghana a One-Party State, the opposition had all but ceased to exist. Perhaps the only group of people who risked uttering dissenting voices consisted of the students. The National Union of Ghana Students (N.U.G.S.) in those days played a valiant role which is today being denied in certain quarters. In a deliberate attempt to distort our history, there have been erroneous assertions that the National Union of Ghana Students was first formed in 1966, that is after the overthrow of Nkrumah. That would hide the ugly fact that the N.U.G.S. 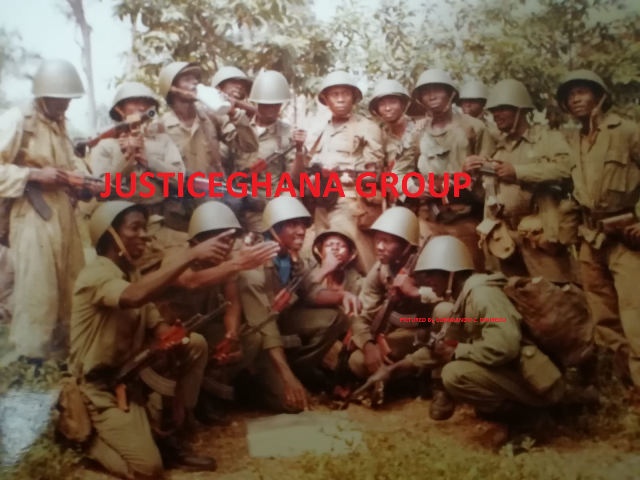 and its members were persecuted by the Nkrumah regime until the fall of Nkrumah. I was a member and leader of the National Union of Ghana Students (N.U.G.S.) in the days of Nkrumah. That was before 1966. At that time Nkrumah wanted the National Union of Ghana Students (N.U.G.S.) to become a part of the youth wing of the Convention People’s Party. Together with the Young Pioneers, we would be propagating the ideologies of the Convention People’s Party and of Nkrumah. That was the pattern in the then Soviet Union where the Student Council of the U.S.S.R. was a part of the COMSOMOL, the youth wing of the Communist Party. The students rejected this proposal because they did not like N.U.G.S. to be aligned or allied with a political party or ideology. We insisted on an independent student organisation. When this became apparent to him, Nkrumah initially decided to do the honourable thing by founding the Convention People’s Party’s own student organisation, known as the National Association of Socialist Student Organisations, with the acronym of NASSO. In spite of the generosity of the Government and the C.P.P., the NASSO could not attract student support. Consequently they resorted to subterfuge. Students were paid to spy on their fellow students in their Halls of residence as in their classrooms. Student leaders were spied upon, intimidated and harassed. They spied also on lecturers both in and outside the lecture rooms. The leadership of the National Union of Ghana Students (N.U.G.S.) was undaunted by these officially sanctioned methods of harassment and intimidation. In the end, the leaders of the National Union of Ghana Students (N.U.G.S.) were arrested and detained without trial. I was the National President of the National Union of Ghana Students (N.U.G.S.) in 1963. We were arrested in 1964. All these are documented. I have heretofore generally refrained from discussing my own role and my bitter experiences of those days. However, I am compelled to speak on this matter now because in 2006, as appeared in both the Daily Graphic and the Ghanaian Times of 23rd March, 2006, one Samuel Okudzeto Ablakwa purporting to be in the leadership of then then National Union of Ghana Students (N.U.G.S. ), cut a birthday cake in supposed celebration of the 40th Anniversary of the founding of the National Union of Ghana Students (N.U.G.S.). Present at the ceremony was Mr. K.B. Asante. I wrote to the said Mr. Okudzeto Ablakwa drawing his attention, but there was no reply. I wrote to the Editors of both the Daily Graphic and the Ghanaian Times to check their archives and correct the error but they also have not responded. I know Mr. K.B. Asante for whom I had some respect. He was in government in Nkrumah’s time and knew that there was a National Union of Ghana Students (N.U.G.S.) at the time prior to 1966.He must also be aware that leaders of the N.U.G.S. had been dragged out from their classrooms into detention by Kwame Nkrumah. I have drawn his attention to his error of judgment in lending credibility to the fake celebration of the deliberately ascribed 1966 as the date of the foundation of the National Union of Ghana Students (N.U.G.S.). Upon his appointment as Deputy Minister of Information in the N.D.C. Government of President Mills, Mr. Samuel Okudzeto Ablakwa has officially repeated the falsity. The Government itself has not made any effort to support the Deputy Minister in this fabrication. This monstrous falsehood could not be supported by the Government probably because President Mills was our mate at the Faculty of Law at Legon when these events occurred and, being a gentleman, he could not have contradicted them. The truth is that I was the National President of the National Union of Ghana Students for the years 1962-1963. That was not a phantom organisation. It was a real one. I took over the office of National President from one Mr. P.D. Vanderpuije of the University of Science and Technology. Mr. F.Y.I. Fiagbe of the University of Science and Technology later succeeded me as President. Those who are interested in pursuing the historical truth will discover that the National Union of Ghana Students existed as far back as the early 1950s. The National Union of Ghana Students was in existence before I entered Legon in 1959 and it was a member of the International Student Conference, headquartered in Leiden in the Netherlands. Under my Presidency, it also joined the International Union of Students with headquarters in Prague. It is difficult to believe that Mr. S.O Ablakwa could be unaware that, for my leadership of the National Union of Ghana Students, I was dragged from the classroom at Legon, arrested and detained by President Kwame Nkrumah without trial under the notorious Preventive Detention Act. Some of my colleagues, including Mr. Fiagbe (who succeeded me as President) and the late Mr. Antwi (my General Secretary, and later a Circuit Court Judge), Mr. Easmon and Mr. Kodwo Carr, were also imprisoned without trial. All these happened in 1964. To imply that there was no National Union of Ghana Students before 1966, is not only a distortion of history but a denial of the heroic role played and the sacrifices made by individual students and students generally in the history of this country. We did hold a Congress of the National Union of Ghana Students (N.U.G.S.) in 1964 before our arrest and imprisonment. At that Congress we passed resolutions condemning the dismissal of the Judges and against repression and incipient dictatorship in the country. In 1965 we were not allowed by the Government to meet. In 1966, after the fall of Kwame Nkrumah, we resumed our Congress. To ensure continuity, I flew in from London, where I had become a post-graduate student, to attend the N.U.G.S. Congress in December, 1966, at the Commonwealth Hall, University of Ghana, Legon. The respect which the National Union of Ghana Students enjoys today is traceable to the struggles of those who were leaders and members before the 1966 coup d’etat, which liberated the student movement. We paid dearly for freedom for Ghanaians and for respectability for the National Union of Ghana Students to continue to exist in the face of a repressive One-Party State. We endeavoured to build and sustain a vibrant National Union of Ghana Students, notwithstanding the grave odds. We had hoped that future generations of students would know (and maybe appreciate) the historical antecedents of the National Union of Ghana Students. Perhaps that is a forlorn hope! However, I believe that I am not expecting too much from the future leaders of this country. I have dwelt on the case of the National Union of Ghana Students because it is illustrative of the efforts to deliberatively distort, re-write or obliterate the salient facts of the history of Ghana. Perhaps it is believed that, by proclaiming that the National Union of Ghana Students was not founded until after the fall of Nkrumah in 1966, it may not be known that Kwame Nkrumah arrested, imprisoned and molested students, spied on students and suppressed academic freedom. These are ugly facts, perhaps politically unpalatable to segments of the political divide, but they cannot and must not be denied or suppressed, as many of these facts are documented.